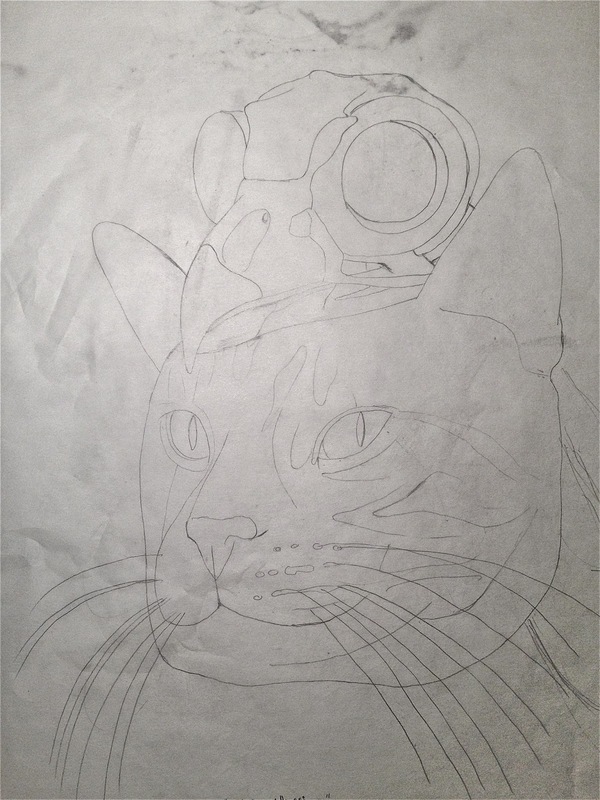 On the drawing table, cat Pinhead. 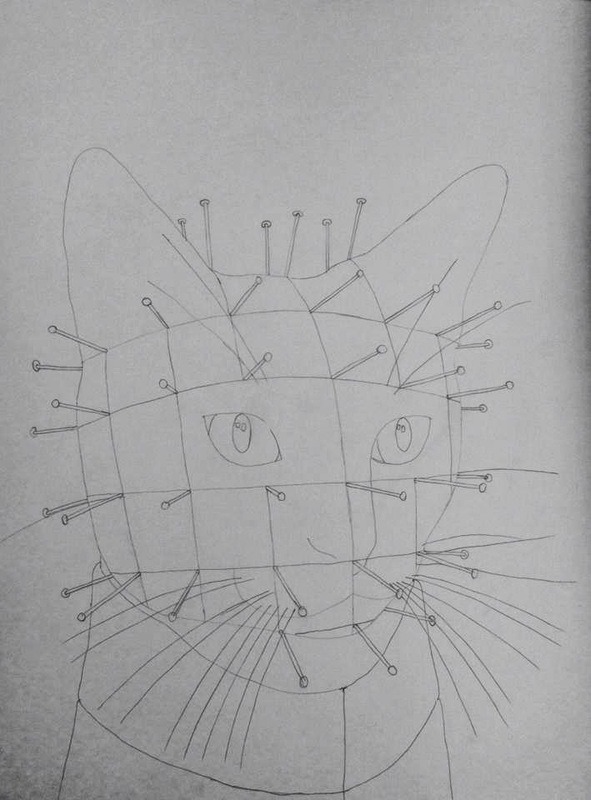 On the drawing table, cat Pinhead. #2 in the "cat horror portrait" series. Check back soon, as the finished piece is in the works and will be posted when completed. Up next on "cat horror portrait" series is Pinhead. That's right, Hellraiser! 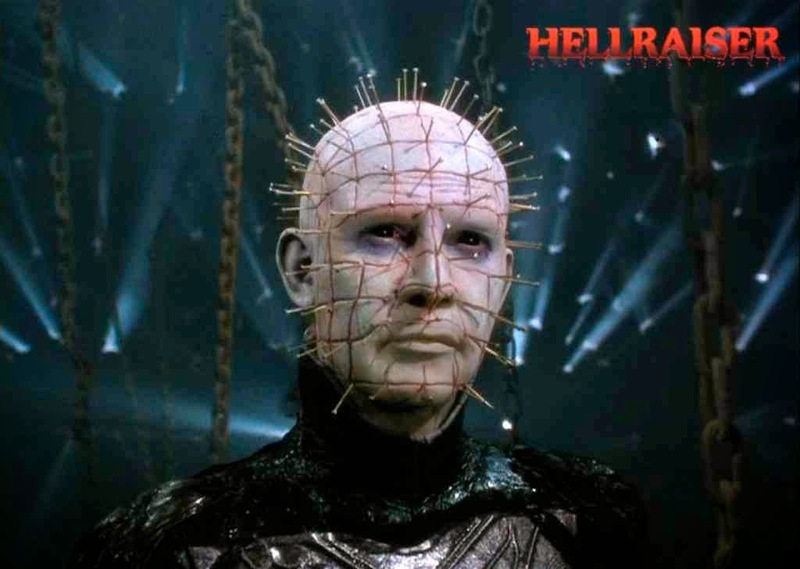 I really only like Hellraiser 1 and 2. Many nights have I stayed up late in to the night watching Pinhead and the other cenobites do their evil. Never open the box! This is the first portrait of the "cat horror portrait" series. Caturday the 13th! This is Frankie taking on the persona of the infamous Jason. 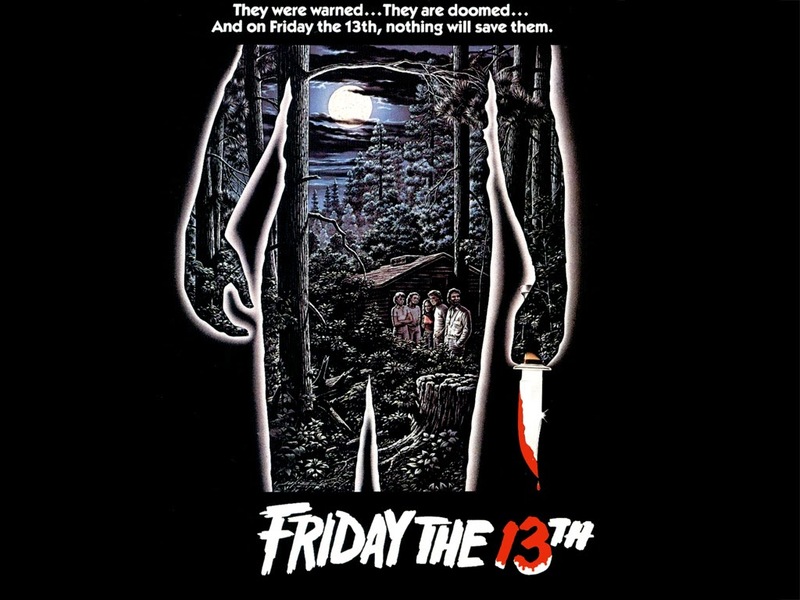 This is probably in the line of Friday the 13th part 3. This cat doesn't need a machete to do his bloody slashing. Five claws on each paw will do the trick just fine. 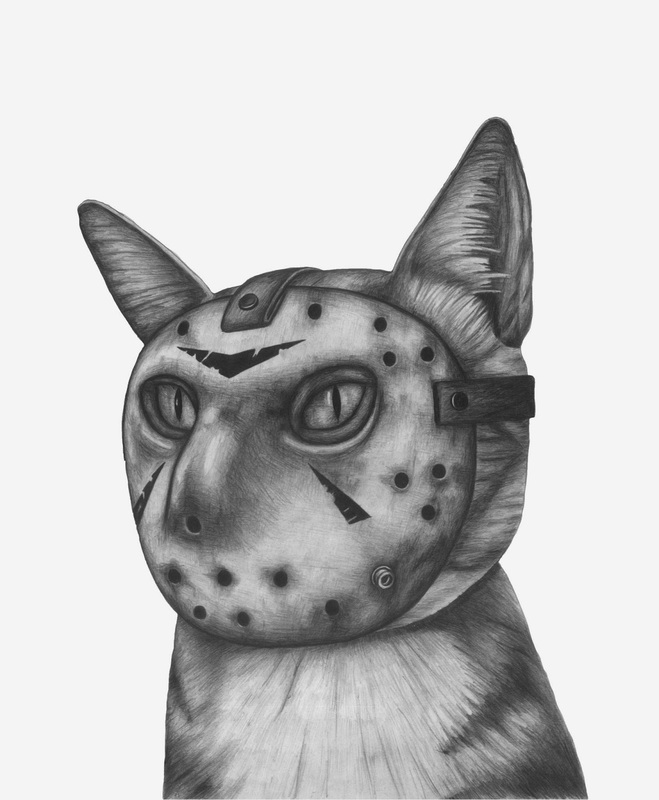 "Caturday the 13th" is available in the store. Enjoy! Do you have a hairless cat and want me to draw it as one of my favorite horror villains? If I can use the photo, I will draw it. Just e-mail me the photo of your hairless cat to ktwillsey@gmail.com. 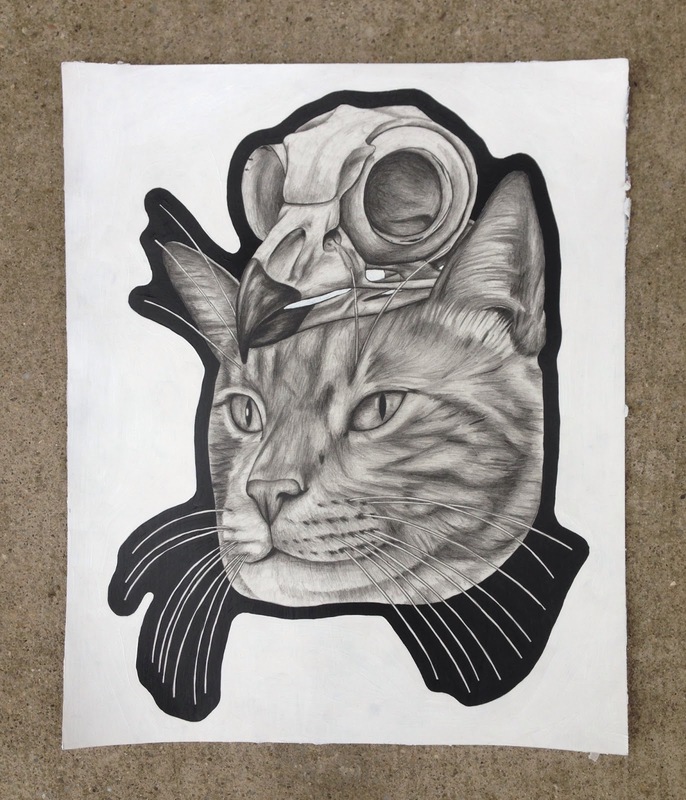 This drawing will be part of my "cat horror portrait" series that I am currently working on. It's going to be horrifying, ha ha ha. 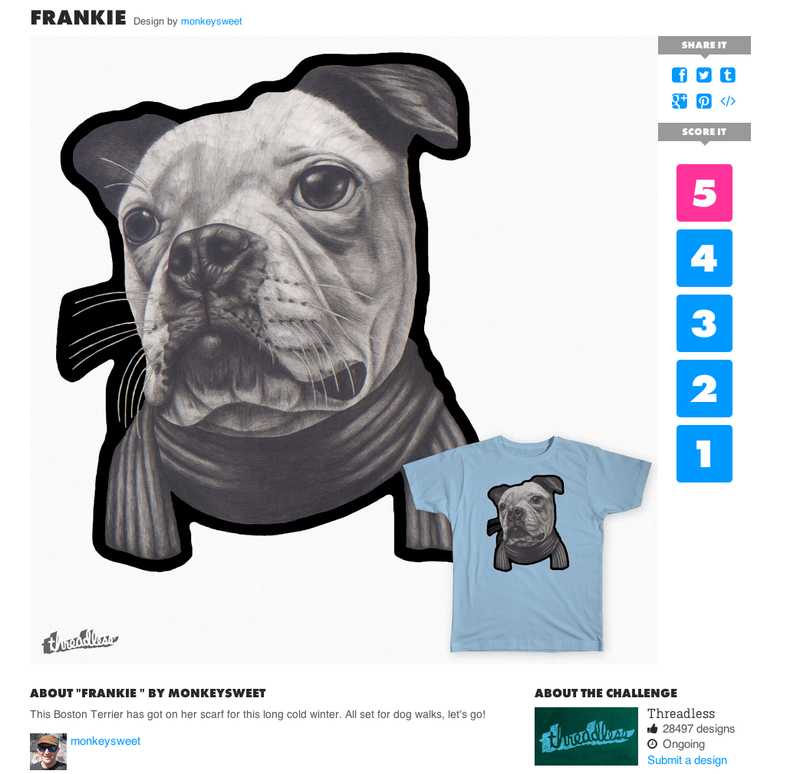 There is a new design challenge on Threadless called dogs. I put up "Stanley." 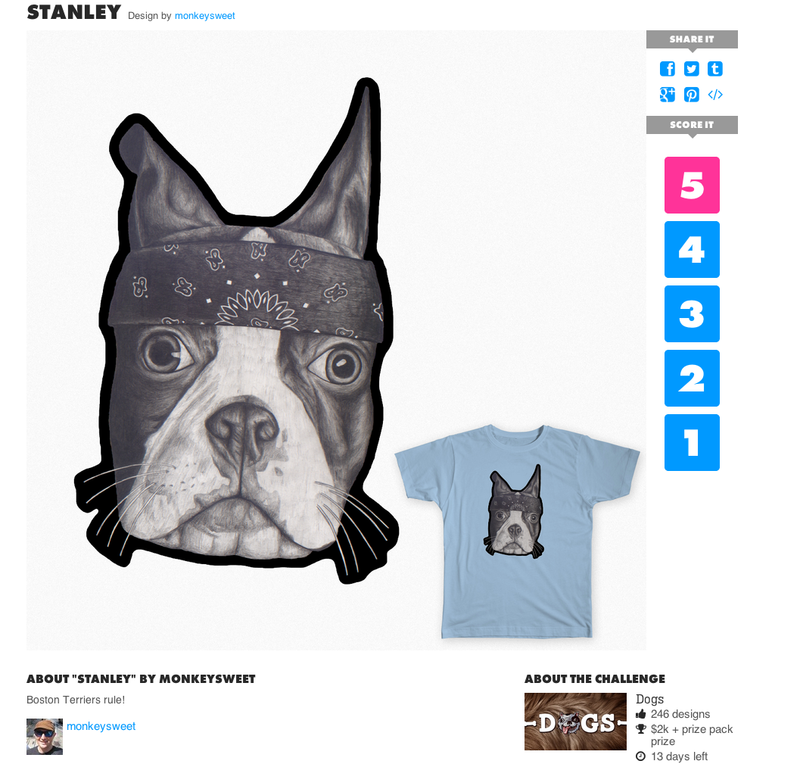 Go vote to make it a winner and be made as a T shirt on Threadless. Thank you. Boston Terriers rule!!! I put up a design on Threadless. Go score it and help get it made to T shirt. Thanks. Here is a new cat portrait! It's Frankie with a Red Tail Hawk skull. Frankie is most definitely a skilled warrior. If he had the chance he would kill any small creature lurking in the backyard. He is very stealthy when he pounces on Leo, my other cat, when wrestling around. If a mouse ever arises in the house I will be able to count on Frankie. I'm working on a few new pet portraits. This here is the line art for "the warrior." 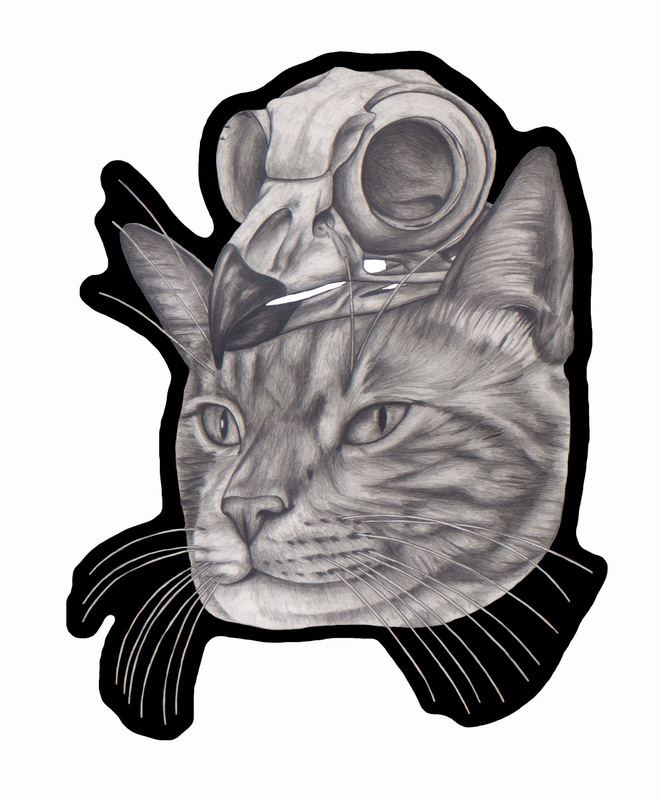 The skull on Frankie, the cat, is of a red tail hawk. The red tail hawk is on the top of the list of favorite birds. They also live in my area and I do get to see them flying around. A most impressive bird this hawk is. 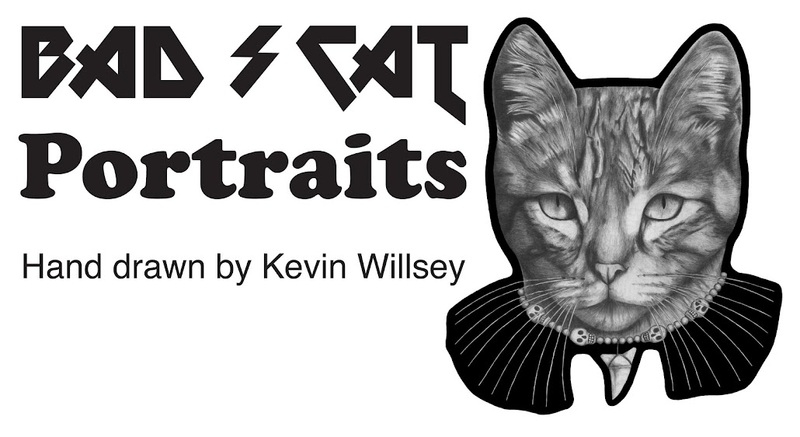 Stay tuned for more on this cat portrait..enjoy. Here is some more flavor from Self Portrait. I drew up "the tongue tied, twisted lyricist" for them. Looks like the new album is coming along smoothly as they lay down those bangin' tracks. Enjoy! 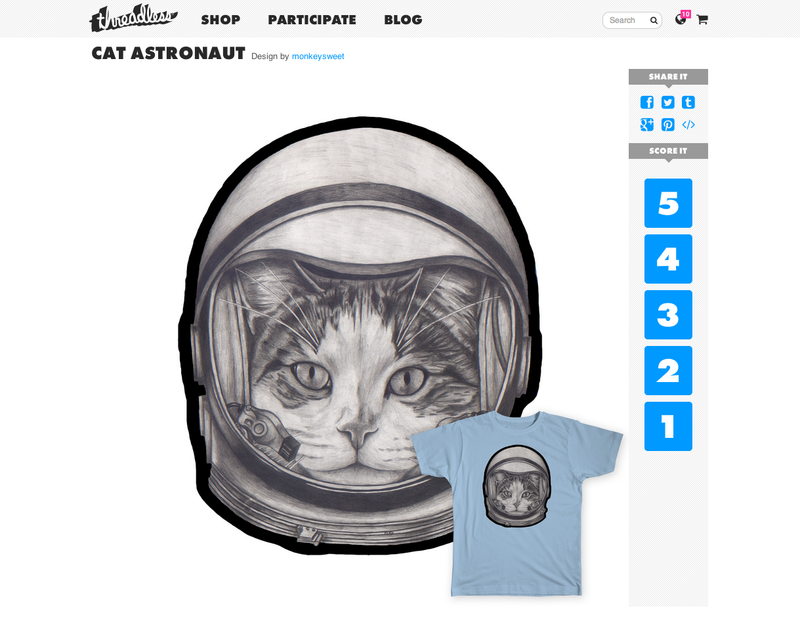 I put "Astronaut Cat" on Threadless in their latest design competition, monochromatic. Go vote to make it a winner! Click on the highlighted link, thanks.